COMMENTS: While I adore the fragrance of oranges, I though that this one would be more potent than it is. It's quite nice, but not that Zing I was hoping for. "LOVE LOVE this EO- Return Buyer"
COMMENTS: Smells great in my citrus soap. Love it! COMMENTS: This was a best seller at the Farmers Market: soaps, lotions, bathbombs,room spray, etc. COMMENTS: Smells super sweet and love the quality. "I use this for safer cleaning products." COMMENTS: I don't use this as intended - I make my own cleaning products with it. Equal parts polysorbate & FO, mixed, with some water in a spray bottle is all I need to clean my entire kitchen. It keeps the oil and food particles at bay and makes everything smell wonderful. COMMENTS: The smell doesn't hold up well in soap and shower gels. Its very faint. "Smell is true to name"
COMMENTS: I thought this essential oil was super cheap and smelled exactly like blood oranges. The only downside is that it was a bit weaker than expected. Since it was weaker than expected, I had to put more into my butters which resulted in a looser less firm body butter. Next time, I will tweak the recipe to make it work! COMMENTS: I love blending this EO. Scent is bright and cheery. COMMENTS: I love how sweet this smells and how well it works with mixing with honey or almond, and other essential oils... I few drops in a toilet bomb and your good to go... Got this in a large so I'll be good for awhile unless I get a massive order in bath bombs or soap. COMMENTS: Of the 4 different smelling soaps that I make, this one is by far my favorite. It's fresh, clean, and entirely unique. COMMENTS: Blood Orange is my favorite of the the orange EO's. It is crisp and bright. I made a hand lotion with this along with virgin coconut oil, and the fragrance is devine. COMMENTS: Love the bright scent of this oil, and it will become a staple for me. Be prepared it will give your CP base a very yellow tint. Used without colorants it is very pretty, but it will affect even charcoal color. Did not speed trace. COMMENTS: just as a fresh squeezed orange, LOVE IT. COMMENTS: Amazing orange smell in a bottle! Smells exactly like oranges! Worth every penny! COMMENTS: This is a very nice fresh citrus. I like the orange /red color in lip balms and it has a great flavor on it's own. Always a favorite in my hp soaps too. "My favorite EO by far!" COMMENTS: I love blood orange and this one does not disappoint. Will be purchasing again. COMMENTS: Favorite citrus-y scent by far. COMMENTS: Doesn't take much and last long!! A wonderful citrus orange sweet smell! "The Best Citrus Scent "
COMMENTS: Truly My Top Citrus. Go To For Facial Products - BAR SOAPS - Lotions - Body Oils! I Have Used Other Citrus In The Past But This One Stands Out & Holds Up To Finished Product & Shelf Life! Also Clients Agree And Pick This Over All The Others! COMMENTS: Use this in linen sprays and have people asking for it. Smells fresh! COMMENTS: I love the way this oil adds a light color to my products. I don't like to use anything but natural colorants! COMMENTS: THE SCENTS ARE AMAZING!! !I LOVE LOVE LOVE YOUR PRODUCTS. 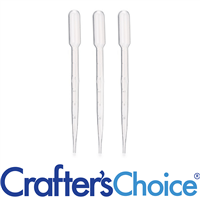 I MAINLY USE THEM TO SCENT MY HOME, THEY ARE MUCH BETTER THAN THE WAX I BUY AT WALMART! THE SCENTS LAST A LONG TIME. I AM GOING TO HAVE TO LEARN HOW TO MAKE MY OWN WAX SCENTS USING YOUR PRODUCTS. ALSO THE FREE SHIPPING MAKES IT MORE AFFORDABLE FOR ME. I WILL CONTINUE TO USE YOUR PRODUCTS AND HOPE TO BRANCH OUT IN THE FUTURE AND BECOME MORE CREATIVE!! "Blood Orange EO certified 100% pure 710"
COMMENTS: Smells really good. I layered my soap. Pink on the bottom then blue, pick again then blue. The blood orange (orange in color) turned my blue to tourquise. Disappointed. COMMENTS: I decided to make an orange mint soap and read reviews about the deep scent of blood orange. I had to give it a try. I am not disappointed. A little bit of this oil goes a long way. I don't have to use as much of this oil as I've had to of a competitor's to achieve the scent I wanted. This will always be my go to for this amazing essential oil. COMMENTS: lovely fragrance; works well in everything. COMMENTS: I used this in cold process soap and mixed it with patchouli essential oil to anchor the blood orange but not too much that it would be overpowering. It is awesome!! I'm looking forward to trying it in bath bombs also!! Such a wonderful crisp tart smell!! COMMENTS: This EO is perfect. It's a juicy, sweet orange oil. The smell is strong in the bottle and just as strong in product. A little goes a long way. Would repurchase. "This Blood Orange is the best ! " COMMENTS: I love Blood Orange scent and this one is the best! I just ordered a second bottle! COMMENTS: A customer requested this oil to begin with and I now know why! Doesn't get any sunnier or fresh than this. COMMENTS: This is beautiful in color, a strong orange EO without the scent of the rind/pith. This is fresh and clean almost sweet smelling. When put in soap it will lend your CP a gorgeous orange hue, mixed in sugar scrub did the same thing. This is a wonderful orange! No musty rind smell here! COMMENTS: Hoping the scent will last in the CP soap I made. Will be purchasing again. COMMENTS: Love this orange! Not too sweet and blends well with ginger. Holds up well in my products. COMMENTS: True citrus scent. I love the smell. I am using it in a variety of products. COMMENTS: Loved this scent. Behaved in CP soap. No acceleration or ricing. The only reason I did not rate this with five stars is the scent quickly faded away before the soap even cured. Second try I increased the amount and anchored with some clay. The scent lasted a bit longer but I could tell that in about 3 or 4 months later there would be no scent. This was done in CP soap. I may try the fragrace oil instead. I hope the scent is the same. COMMENTS: Wonderful! So happy with this EO. Definitely ordering again! "Long lasting and wonderful scent"
COMMENTS: I use this EO in soaps and have found that when used in a small enough amount it won't detract from the latherability of my soap and it smells fantastic. Would recommend, but test it out first to make sure you're not using too much. 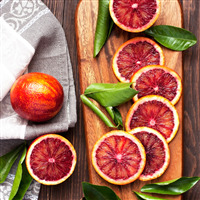 COMMENTS: I love using BLOOD ORANGE essential oil because the citrus scent STAYS longer than SWEET ORANGE. It is the best quality orange essential oil that I have used by far. It is excellent! COMMENTS: The oil is an orange color but did not discolor the soap. No acceleration. I did a orange swirl and it looks great. I did have the oils and lye water at 110 degrees. COMMENTS: I love to blend this with the grapefruit FO for a wonderful citrus blend. It's by far one of my favorite EO. COMMENTS: I love the scents of fresh citrus! So clean and crisp! COMMENTS: This oil has a beautiful color to it that just barely adds something a little extra to the soaps. It smells amazing and makes the soaps feel so clean. I also use this oil to make my own household cleaners. COMMENTS: I like to use this scent when I want a citrus smell. 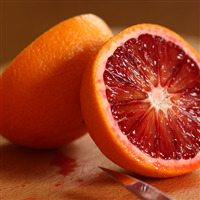 COMMENTS: I love blood oranges period, and this essential oil definitely lives up to the smell of fresh blood oranges. Works well with other citruses. COMMENTS: I love the smell of this EO. It is very dark and mysterious to me. I use it in a blend for CP soap and it has become one of my best sellers. Behaves perfectly. COMMENTS: I've used this in shaving soap and a bath soap as well. It has an excellent aroma and is one of my favorite so far. A little bit goes a long way on this one! COMMENTS: This smells great in and out of the bottle but FADES. I will purchase again but will use in a blend with other EOs and will use it at the maximum IFRA levels. COMMENTS: Bought these in my last order and it was great. Oh the orange scent is so strong...i spill some on my counter and it so strong, had to wipe up really quick because it seems as if it would stain the counter lol. Thank you for a great product. COMMENTS: Used in shea butter soap. Love it. COMMENTS: The blood orange smells amazing and the price is great too! It reminds me of the first bath fizzy I ever used! COMMENTS: I was kind of leery about getting this EO because I figured it would just smell like every other orange EO out there, but this just has something different that I LOVE. I used this EO in cold process soap and it turned out so amazing! I did add a little more than I should have just to make sure the scent would make it through and boy it did! Such a wonderful orange smell, but I personally get kind of a spice kick at the end, it might just be me but that is what I find so awesome about this EO. Its different and now going to be a staple in my EO cabinet! COMMENTS: this orange scent isnt overpowering and it is so beneficial. i love it!! COMMENTS: I use this EO in almost all my products. I love it. It smells amazing and mixes well with other EO. It has a lovely taste for lip balm. COMMENTS: This is a lovely scent for many products, but I primarily use it in beauty products. I've also used it in CP soap. It provides a clean, crisp scent. COMMENTS: I really liked this orange eo and wish I had bought the larger size. Smells just like peeling a fresh orange in your kitchen. • Met my scent expectations. COMMENTS: Good spring and summer scent! COMMENTS: Smelled yummy in the bottle. Mixed with a blend of other citrus for my beer soap which customers loved. One of the best orange scents I've ever used. More of an adult orange scent. • orange with a tinge of dark. COMMENTS: I just received this EO. It smells wonderful. I've mixed it in a whipped coconut oil and it is Awesome! COMMENTS: This is the most authentic smelling orange essential oil I have ever tried! It is amazing! Super sweet yet tangy! This one is a keeper! COMMENTS: I mixed this EO with orange clove and orange sapphire FO in hot process soap, the result is rich orange spice smell, one of my favorites. COMMENTS: I just started using the blood orange essential oil after having a lot of success with the sweet orange and I love it! The smell is similar but the blood orange has more depth to it. COMMENTS: I used this, cinnamon leaf, and pink grapefruit. It is off the chain wonderful! 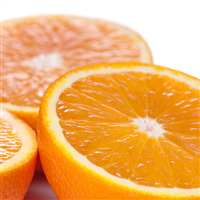 COMMENTS: This is a BIG orange burst aroma that you can't miss - it's very fresh smelling and I find myself adding it to almost everything I make. A nice clean and fresh scent. "Just like a blood orange"
COMMENTS: The scent dissipates in cold process soap...I'm working on it. I love the way this smells. "My most versatile essential oil"
COMMENTS: I love this blood orange essential oil. A great price and I use it for several products including fragrance an lip butters. 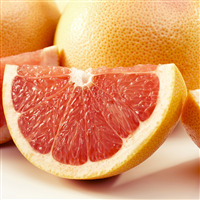 It provides a great blood orange scent and I love blending it with other essential or fragrance oils. Love this oil! 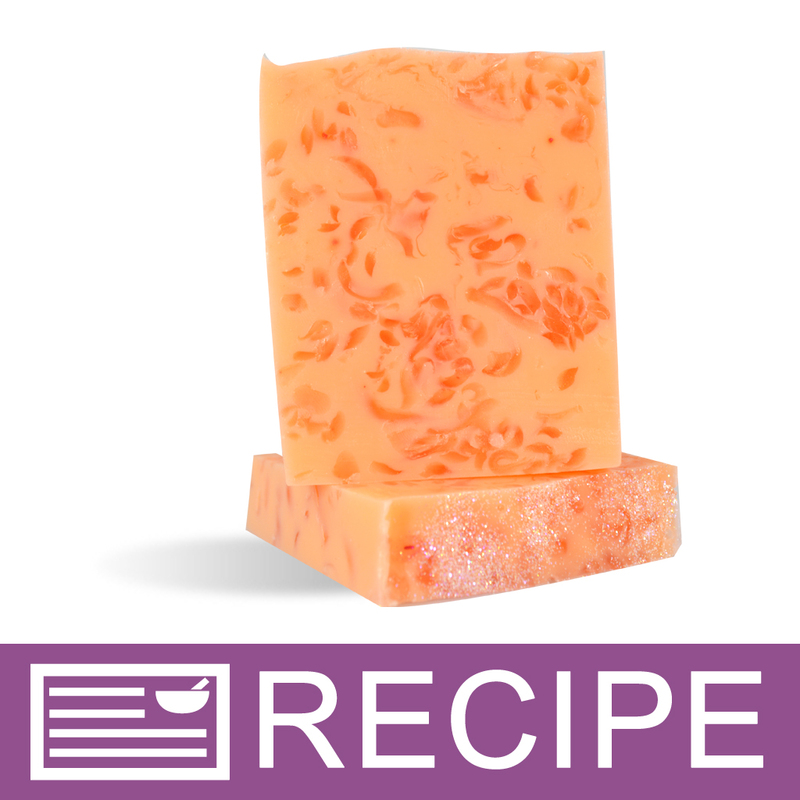 COMMENTS: I made a wonderful CP soap blended with bergamot. It smelled so incredible. I can't recommend this EO enough. COMMENTS: I love this fragrannce oil. Truly smells exactly like blood orange, (one of my favorite fruits). COMMENTS: I never thought I would love a citrus scent this much but this is great. The Blood Orange Scent is wonderfully refreshing in my shampoo in the morning. Like all citrus essential oils it losses strength in CP but in my Liquid Shampoo recipe its great! COMMENTS: My friend has orange(15x clear)EO so I was curious to see how this one is different. This one has a sweeter, juicier smell to it which I really like. It has a low flashpoint so I was worried it wouldn't work well in cp soap but it worked fine and didn't cause acceleration or any problems. I mixed it with the pink grapefruit EO they sell on this site and the soap looks great and smells delicious. COMMENTS: Of all the scents I use in my bath products, blood orange EO wins hands down. It is such a pure, rich orange smell and at a great price! It works beautifully in CP soap and even adds a touch of orange color to your soap. I have ordered this scent more than any other! COMMENTS: This smelled exactly like I had anticipated. Nice strong scent that seems to hold well. COMMENTS: I am very happy with the quality of this Blood Orange, the aroma is rich and sweet as it should be and blends easy and complete. 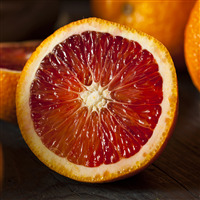 Recommend to anyone looking for a high quality Blood Orange. COMMENTS: I've used this in lip balms (I know about photosensitivity, but I can't help myself, I love orange lip balm! I just use it in the house.) and MP soap, and it's wonderful in both. There's a complexity to this EO that smells quite luxurious. I blended it with a cranberry FO, and it's the most gorgeous scent. I like that it's all natural, and that little bit of difference from a regular orange makes it special. I'm excited to try other blends with it. COMMENTS: Also used in no grate laundry soap. Love this EO! "What is the distillation method of this essential oil?" "Can this EO be use for baking or to be added to teas? In other words can it be ingested?" Staff Answer None of our products are meant to be ingested. So, we do not recommend using in baking or added to teas. "Is there any special labeling I can use since this essential is certified 100% pure?" Staff Answer Hi Andrea, you can label this in your ingredients in a few different ways. You can label it as fragrance, essential oil, or the actual ingredient name. For the Orange (Blood) EO the ingredient name is Citrus Sinesis. "What does it mean when they say blood, sweet, or clear?" Blood and sweet are different types of oranges. Some EO's have been cleared and are lighter in color than those that haven't been. 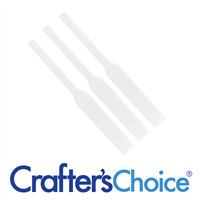 "Is the Crafter's Choice Orange (Blood) Essential Oil folded?" Staff Answer No, the Crafter's Choice Orange (Blood) Essential Oil is not folded. "Is it true that citrus Essential Oils can cause a sunburn?" It is possible, yes. Phototoxicity (photo sensitivity) refers to constituents in the essential oil that absorb sunlight intensely, increasing or focusing the effect of the sun on skin. So if the oils or products containing them are left on the skin and then exposed to sunlight, they can cause the sun’s effects to be magnified, including sun burn. This mostly applies to products that stay on the skin, lean-in products, lotions, perfume oils, lip balms, salves, creams, etc.